Businesses that strive to innovate while meeting compliance requirements often turn to cloud computing to update their asset management systems and increase their data center performance. Companies benefit from utilizing cloud and colocation because these services save time, money and space. Administrators can share resources across workloads and protect their data from outages that could affect their entire system by distributing data in the cloud. Organizations have many cloud computing deployment models to choose from to modernize their management systems, including private versus public cloud or no cloud at all. Public cloud providers -- such as Amazon Web Services, Microsoft Azure and Google Cloud Platform -- own and maintain resources, whereas individual companies or managed service providers offer private clouds. The cloud's scalability and ease of use enable administrators to adjust services based on their current computing needs. To avoid application performance issues, administrators must find the right cloud service to match traffic patterns and dependencies. Administrators must also consider where their users connect from and how much bandwidth they need. For example, less-accessed workloads can be stored in the public cloud at a lower cost. The cloud makes it possible to share resources across workloads, but it has its limits. Private clouds often have a lower limit on the number of shared workloads that are easy to reach, but public clouds can contain hundreds to millions of workloads. Public clouds may save organizations money, but admins often find it difficult to calculate operational costs with so many cloud computing deployment models to consider. Administrators should do their research before putting data center workloads in the cloud. Services and prices may change, so organizations should have a backup plan to take a workload out of the cloud if needed. Administrators should do their research before putting data center workloads in the cloud. Organizations generally keep their workloads on premises if they are not optimized for cloud operations. High-priority or legacy workloads, such as mainframe or mission-critical applications, can be risky and difficult to move to the cloud. 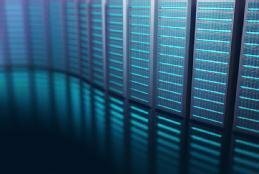 Relocating these workloads might not be worth it due to the costs and downtime involved. Legacy applications may need to be virtualized to become cloud-ready, which adds to the cost. Furthermore, certain companies have security concerns regarding cloud storage, which may deter cloud adoption. Complex applications with high internal use, such as inventory systems, could be cheaper to keep on premises. Admins should check if the cloud services match their security and compliance requirements. Workloads with sensitive data may be safer on premises. Computing bandwidth can be calculated based on memory and CPU usage. As cloud services adoption increases, a hybrid cloud computing deployment model is appealing to more companies. This model gives administrators the option to move workloads and microservices to different platforms as use cases and finances evolve. Administrators should prepare for the future of hybrid cloud computing deployments. Hybrid cloud computing enables organizations to smoothly run data center workloads in a combination of private and public clouds. However, these environments are still developing and have issues with connectivity, and administrators may not have the same features or control over both environments. To ensure future compatibility, admins should select a service that evolves with the hybrid cloud technology to support interconnectivity with on-premises systems, such as containers and workload management functions. What features do you want developed for future cloud services?